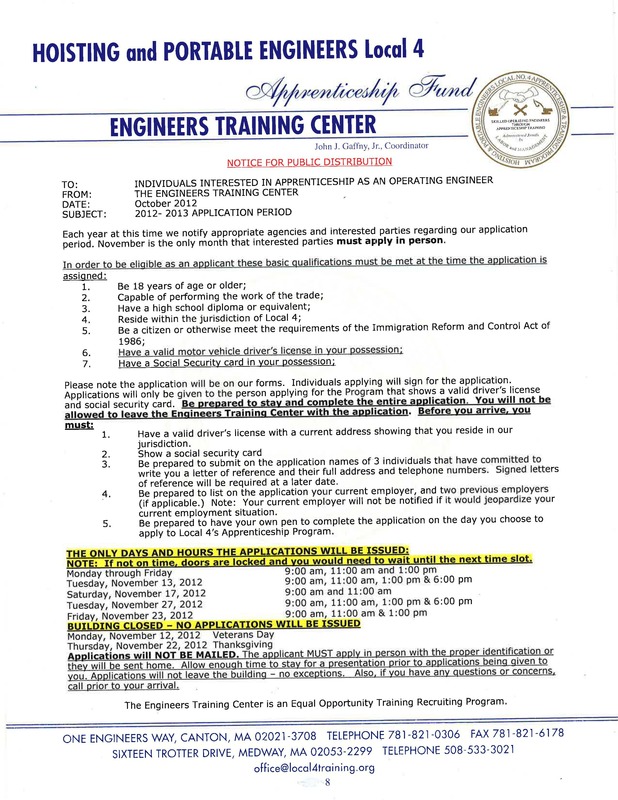 Please take note of the upcoming application period for the Apprenticeship Program of the IUOE Local 4, Hoisting and Portable Engineers. 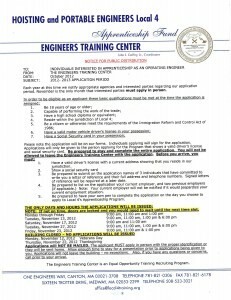 The office location for application is One Engineers Way, Canton, MA 02021. Link to notice here (click).